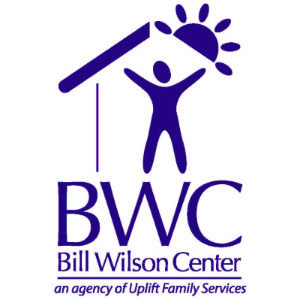 Jan. 17, 2019 - (SAN JOSE, CA) Bill Wilson Center, a leader in homeless services for youth and young families in Santa Clara County, is becoming an agency of Uplift Family Services, one of the largest, most comprehensive mental and behavioral health treatment programs in California. This will become effective upon final approval by the State of California. Bill Wilson Center will continue to operate as an independent agency and Sparky Harlan will continue to be the CEO of the agency. “Uplift Family Services made a commitment to address the social determinants of health of our children and family members–all 32,000 of them–and expanding expertise in housing and youth homelessness is a top priority for us. Through this new relationship, we are excited to leverage Bill Wilson Center’s expertise in this space across California,” said Darrell Evora, President & CEO of Uplift Family Services. “This move ensures that Bill Wilson Center can continue to expand services to homeless youth and families. Uplift Family Services will strengthen our behavioral health services for homeless youth by adding their expertise in serving those with the highest needs. We are excited to join with Uplift Family Services to improve services for all youth and families in the greater Silicon Valley region,” said Sparky Harlan, Bill Wilson Center CEO. Both entities will continue to operate independently during a multi-year transition period. It is the agencies' intention to merge the two agencies within four years.